Acclaimed by both wargaming specialists and fans of the Napoleonic era earlier this year, Scourge of War: Waterloo was praised for its incredible historical and military accuracy and its high replay value thanks to the varied scenarios and the sandbox campaign. A few months after its initial release, Scourge of War: Waterloo offers a refined experience due to several updates that enhanced the gameplay and fixed the issues reported by the community. Today, the game is reaching a new level with a new patch and a release on the Steam platform, and we are very excited to be able to show this epic strategy title to a whole new audience! 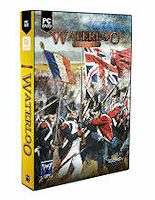 Get more information on Scourge of War: Waterloo from its official Steam page. Important! Along with the Steam release, the game has been updated to version 1.0043! This new version brings a lot of improvements and bug fixes! Among all a bug in cavalry column reserves formation have been fixed and now the advance of scripted French officers in initial stages of WL06 has been restricted so they don’t approach too close to enemy lines! But the list of changes is very long so be sure to check it here. For non Steam users you can download the update from this link or in the dedicated section of the product page. In order to properly commemorate the bicentenary anniversary of the Battle of Waterloo, Matrix Games is teaming up with developer NorbSoftDev to reproduce, live, the most dramatic moments of the final great encounter between Napoleon and his opponents. This spectacle will be delivered thanks to a live Twitch stream of Scourge of War: Waterloo, with historical scenarios being played at exactly the same time as events happened in June 18, 1815. So on June 18th, 11.30 (CEST) on the official Twitch channel of the Slitherine Group we will start to bring back to life Napoleon, Wellington, Blucher and the thousands of soldiers who shaped the destiny of Europe! Additionally Iain Dickie – well-known expert on the Napoleonic era and specialist of the miniature wargames world – will accompany us all day long and share a host of historical details with the public to help us better understand the strategic and tactical aspects of the Battle of Waterloo. Get more game information here. It is the morning of June 18th 1815. The whole French army led by his Emperor in person is marching trough Belgium to engage with the forces of the Seventh Coalition. The armies of the Duke of Wellington and Blücher’s are still divided. It is the last chance to defeat them, before they become too organized. This will be the battle where the fate of Europe is shaped! Today all of you fans of the musket era have the chance to become immersed in the final chapter of the Napoleonic Wars with the official release of Scourge of War: Waterloo! From Hougoumont to La Haye Sainte including Placenoit, you will do your best to coordinate your infantry, cavalry and artillery units in order to outsmart your opponent in huge battles counting thousands of soldiers, while seizing the key locations in time. Along with 20 historical scenarios and a set of multiplayer maps, the new creation from developer NorbSoftDev includes a sandbox campaign for the very first time in the Scourge of War series! This game mode regularly requested by the community finally allows you all to string battles together for a thrilling what-if approach of Waterloo. Your soldiers are waiting for your command! Get more game information and view the release trailer here!